@brits-thabiso-1996 is a 22 year old Gay Male from Brits, North West, South Africa. He	is looking for Friendship, Relationship, Chat, Workout Partner and Travel Partner. 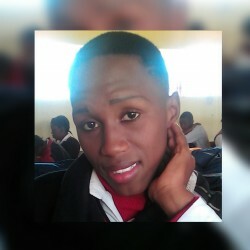 I'm Thabisow...am gay bottom,am a good,loving and caring person. Well am fem but not cross dressing.. I'm cute,dark in complexion,size 28,am not short nor tall.